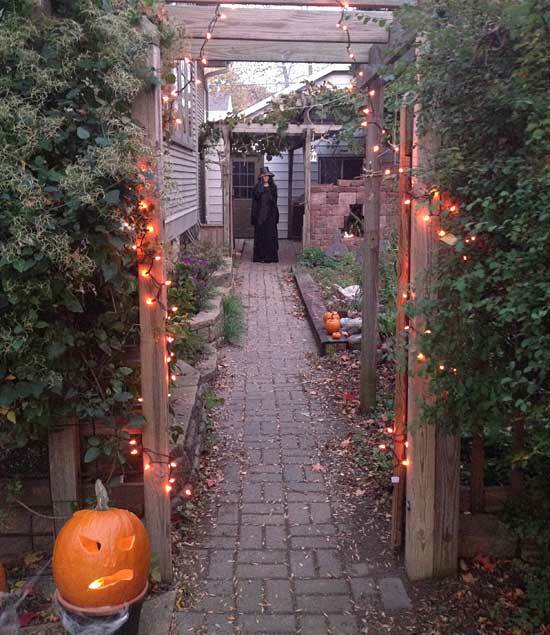 The above photo is the best illustration of our Halloween activities… Actually, we had trick or treating the week before Halloween, and it was at night, and we finally live in a place that does it right! If we had 20 kids last year, that a stretch. 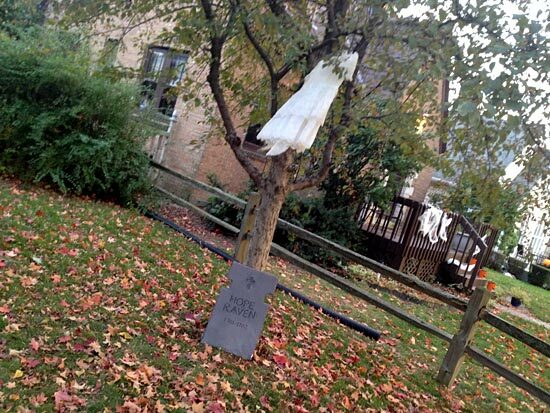 This year, we probably saw between 100 and 200, and we scared the crap out of a bunch of them. Dana did most of the planning and decorating, and I did a lot of the prep work and prop making. This is the path (to the “graveyard”) kids had to walk down. 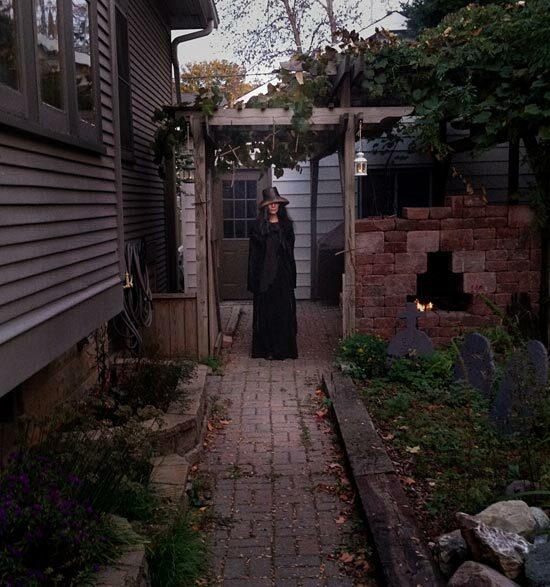 It’s not too scary in the light, but by the time it got dark, it was fairly creepy. 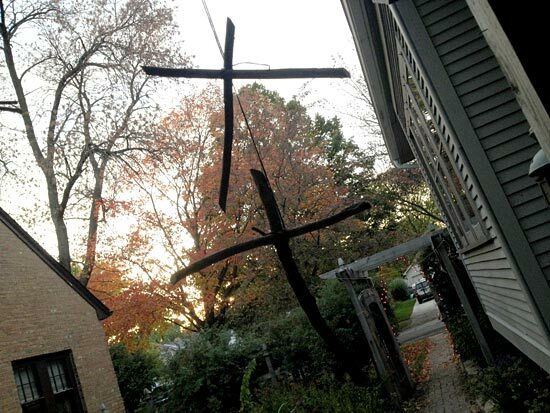 And she put up stick crosses too. 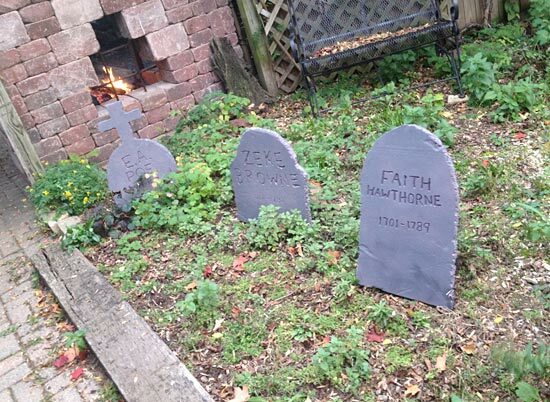 She said both were in the Blair Witch Project, which was filmed in Maryland, of course. And what would Halloween be without pumpkins? 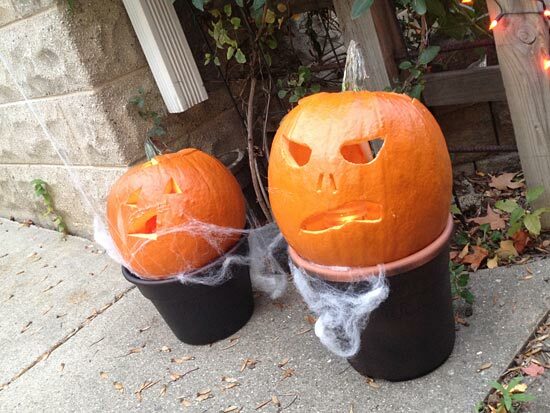 Also known as jack-o’-lanterns. 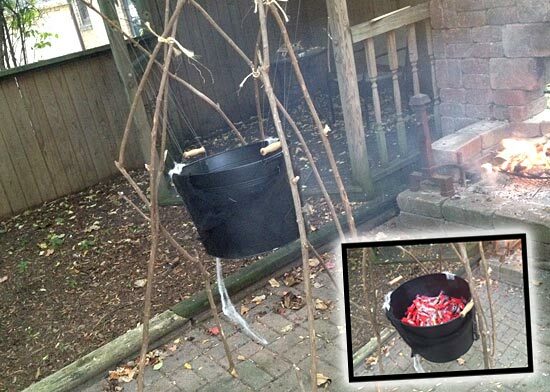 And this was the cauldron… full of candy! I didn’t get a picture of myself, or the windows with silhouettes of bats, but we had those too. Oh, and scary sound effects playing as well. Oh, and let me tell you, when Dana plays a witch, she does not break character. She can frighten children of all ages! 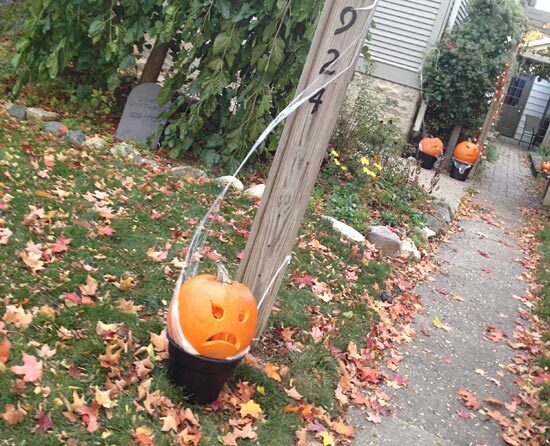 The trick is to scare them psychologically. I won’t go into details, but I will say that we found candy in the yard that was no doubt dropped by some children as they ran from our house.